We had a lot of rain melting some of the snow but there's still a lot to go. 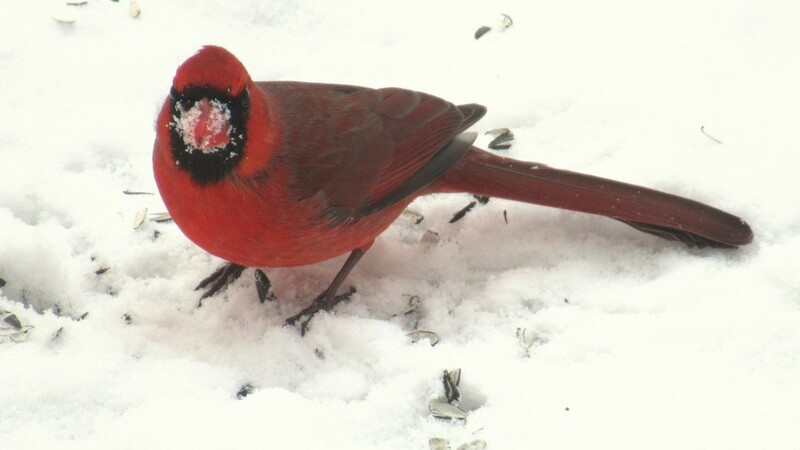 The cardinal was digging for some fallen seeds and came up with snow all over his face. Great close-up! You don't usually get to see them with a beard! Very funny and beautiful captured.Fav. @olivetreeann @pyrrhula @gijsje Ann, Ferry and Bep Thank you so much for the comment and favorite. so very much appreciated. I think the cardinal looks good with his beard. @mittens @janeandcharlie @Dawn @gigiflower @777margo I like to thank each and everyone for their comments and fav. they'are so much appreciated.